While most debt I see isn’t caused by any fault of the debtor, there are instances where a person could have better prepared himself or herself financially. In an effort to help out Coloradans (and their bank accounts), I recently found an article from Money Talks News that I believe gives some helpful tips. The article describes 12 common money mistakes that Americans make. As we want to dive briefly into each, here are the first six (final six to come in my next post). If you avoid these mistakes, you’ll have a better chance of staying afloat financially. Keeping up with friends: A quick way to find yourself in money trouble is to try to match your lifestyle and possessions to that of the people around you. While I understand wanting to have the latest and greatest gadget, car, or appliances, especially if your friends and family are boasting about theirs, try to resist that urge. In fact, genuinely successful people tend to be more independent, according to the article. Letting indulgences become habits: The best example of this I can think of is Starbucks. While it isn’t a big deal to get a $5 grande skinny mocha chocolate caramel frappuccino with whipped cream once in a while, making a daily habit of it can be costly. Do that every day and a harmless $5 per day becomes $150 per month—or $1,800 per year. Instead, track your spending carefully and get that coffee—or whatever it is you splurge on—just once in a while. Forgetting to cancel memberships: For many merchants (online, especially), customers that forget to cancel memberships after a free trial expires are a dream come true. Netflix is great at this: after you gift someone a six-month subscription, for example, you may realize a year later that you forgot to cancel the gift—with the charges to prove it. Be sure to read your bills carefully to spot recurring charges for services you aren’t using. Buying a new car: As soon as you drive that shiny new car off the lot, its value depreciates 9 percent. A new car costing $30,000 loses $5,687 in value in less than a year. The solution: buy used. And after your car is paid off, drive it for free for a while—don’t run out and buy a new vehicle. Buying almost anything new: Okay, the car is a big one, but the same principle can apply to many other items, including books, toys, tools, and sports gear, just to name a few. Some things, though, definitely need to be purchased new, such as mattresses, stuffed toys, shoes, etc. 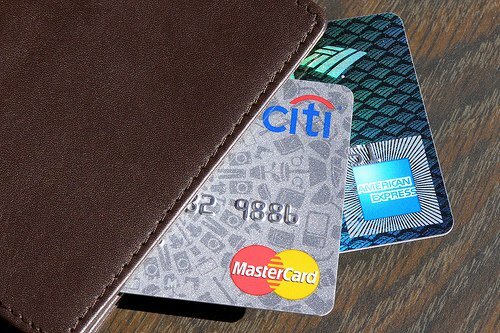 Paying interest on credit card: If you’re paying 20 percent interest on credit card balances while your savings are earning just 0.2 percent, you need to reevaluate your financial situation. Rates on credit cards are ludicrous. If you already have a lot of high-interest debt, pay it off as soon as you can. Then rebuild your savings and pay off the entire card balance each month. Be sure to check back later this month for the final six mistakes you shouldn’t make to stay financially healthy. Again, at The Law Office of Chris D. Hefty, I understand most bankruptcy situations arise from uncontrollable circumstances. If you have questions about your debt, and the options available to reduce or wipe it away, contact an experienced Colorado bankruptcy attorney.